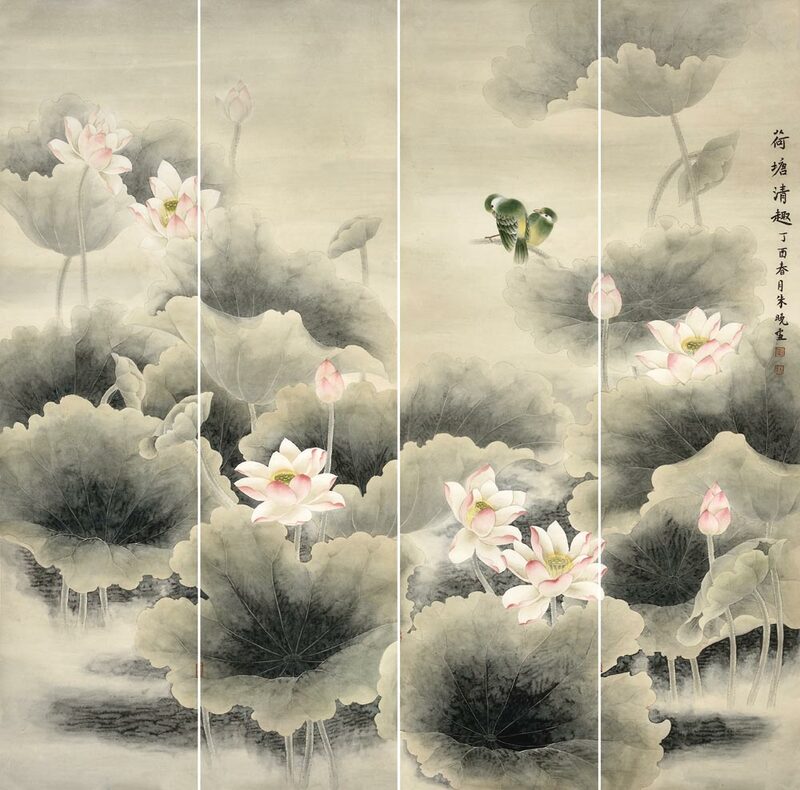 朱晓 Zhu Xiao, also known as 朱晓容 Zhu Xialong, artistic name 清荷 Qing He (pure lotus) from Beijing Six Lotus studio (北京六荷堂艺术工作室) is from仙桃 Xiantao in 湖北 Hebei province. 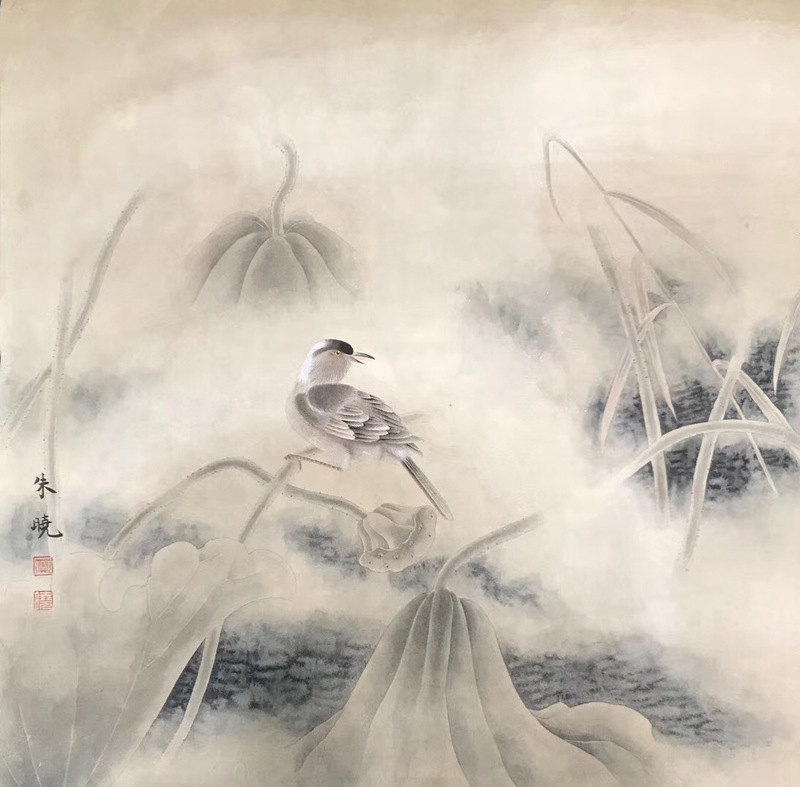 She studied at Renmin University of China Academy of Art with famous painters 声朗 Sheng Lang, 汤文選 Tang Wenxuan, 鲁慕讯 Lu Muxun, 李乃宙 Li NaiZhou and others. 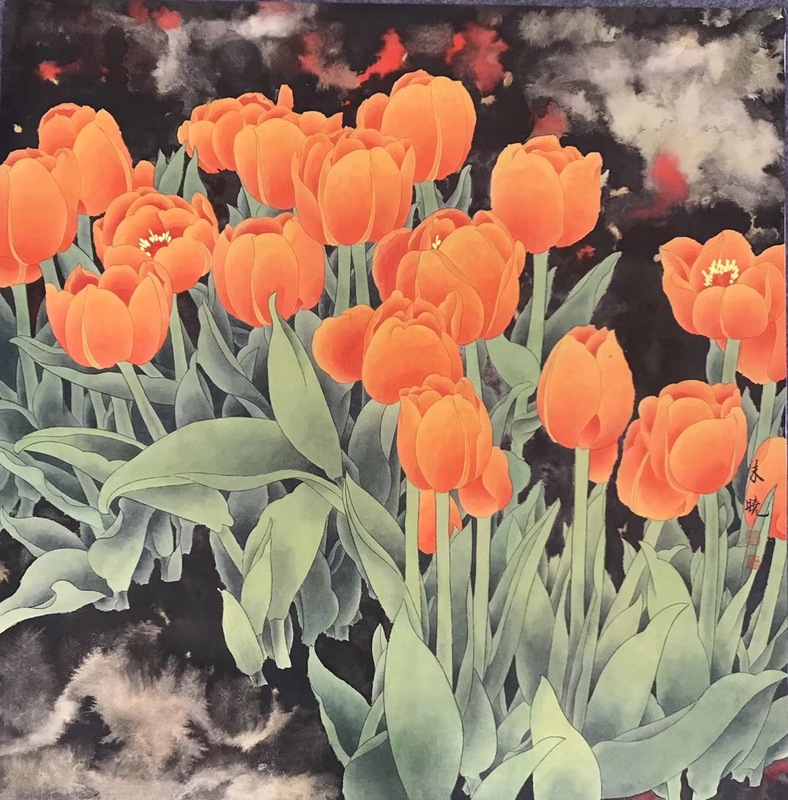 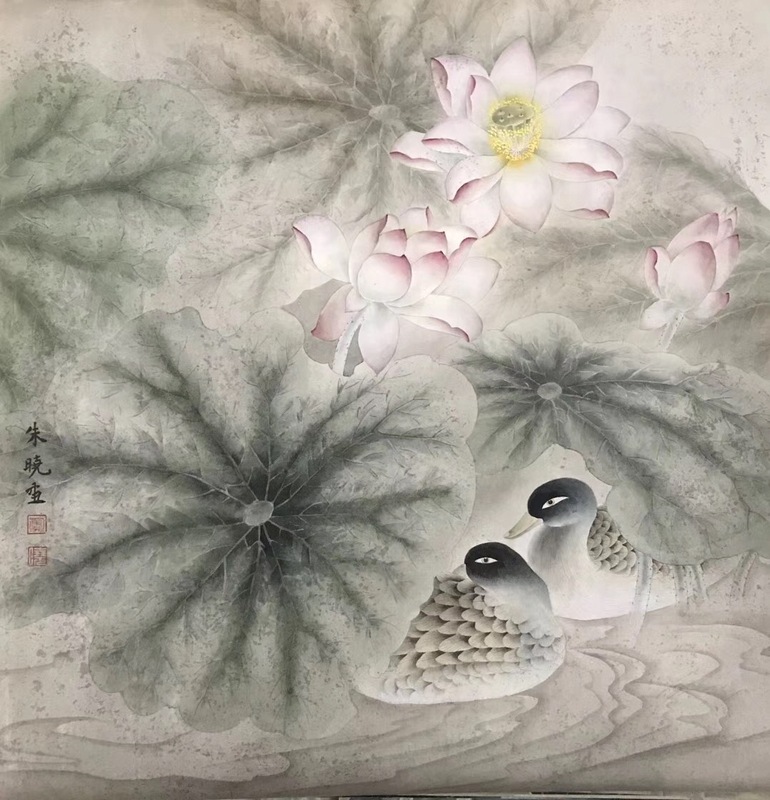 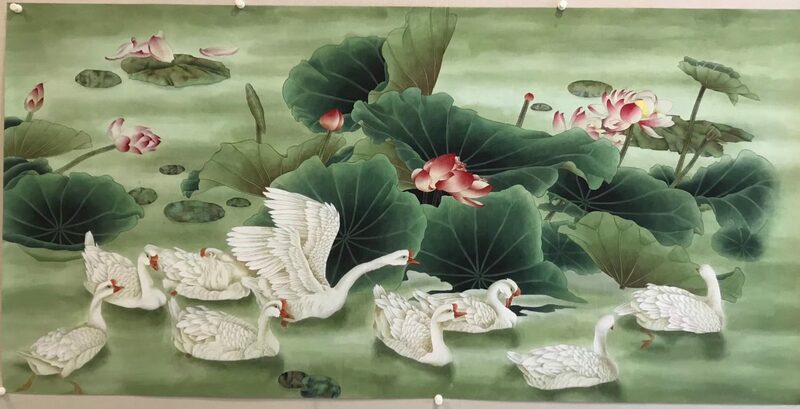 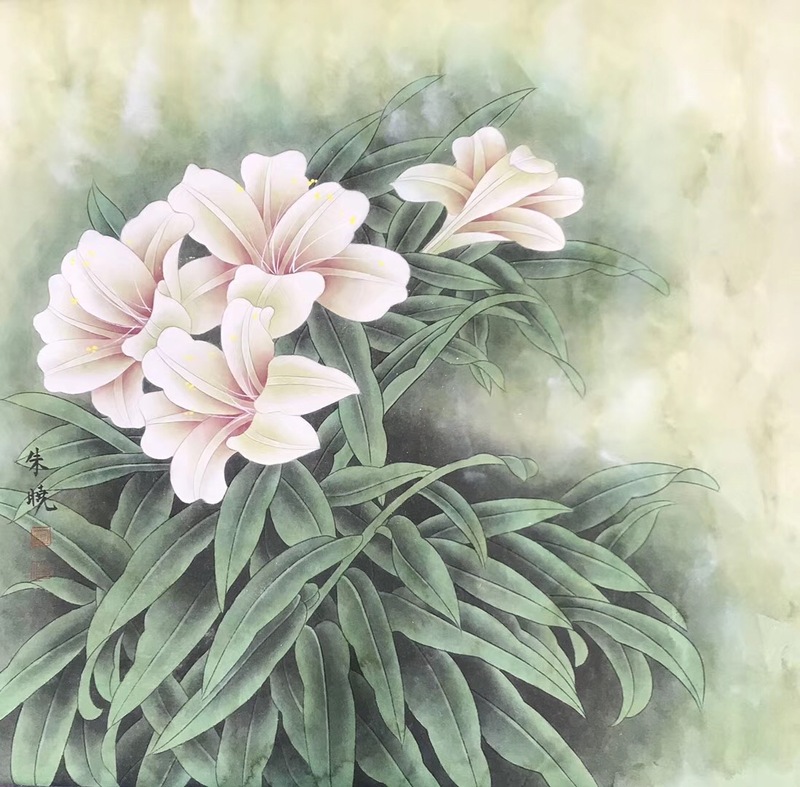 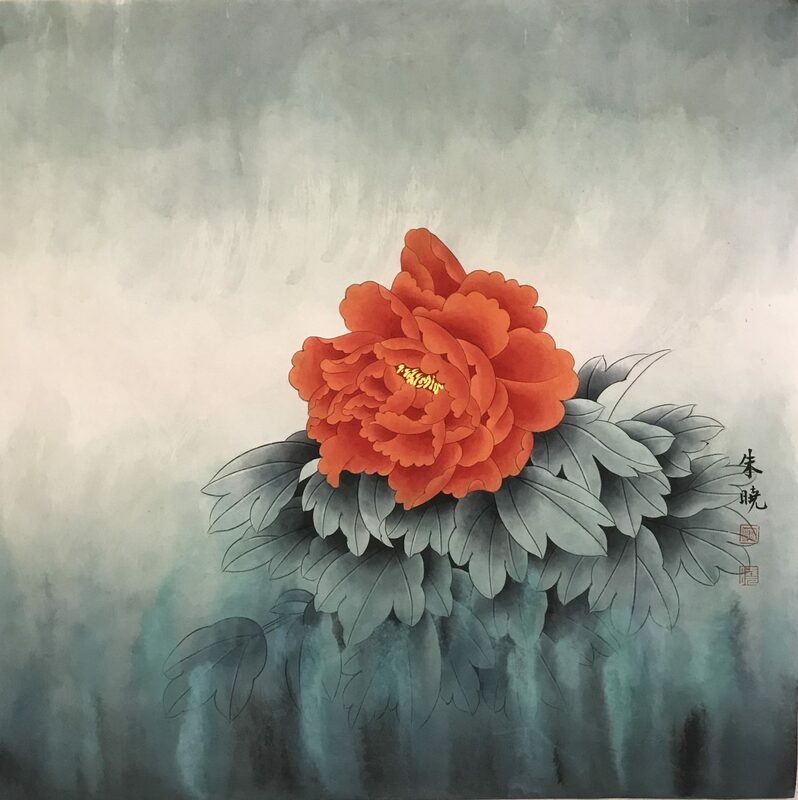 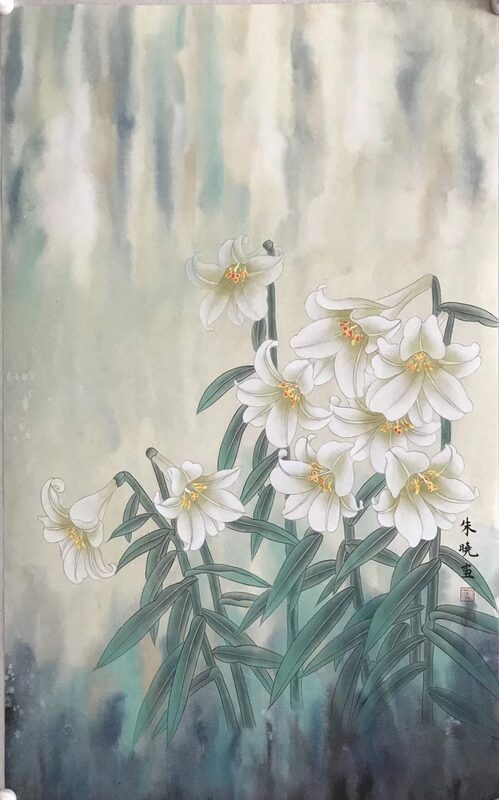 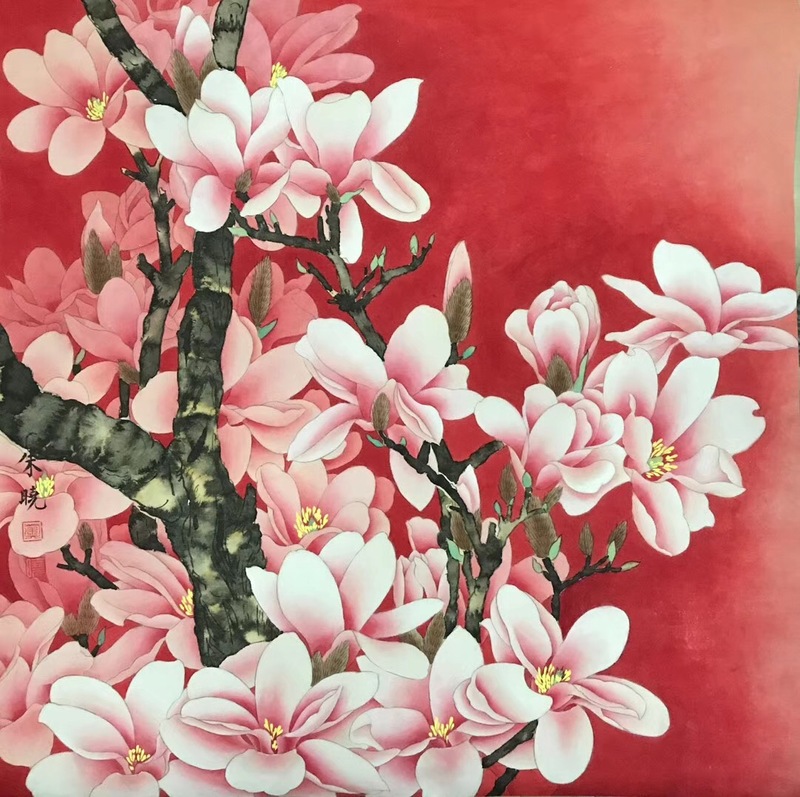 Her works have participated in many domestic and international art exhibitions and won awards, such as the People’s Hall, Diaoyutai State Guesthouse and other units and art galleries, and international friendship exhibitions. 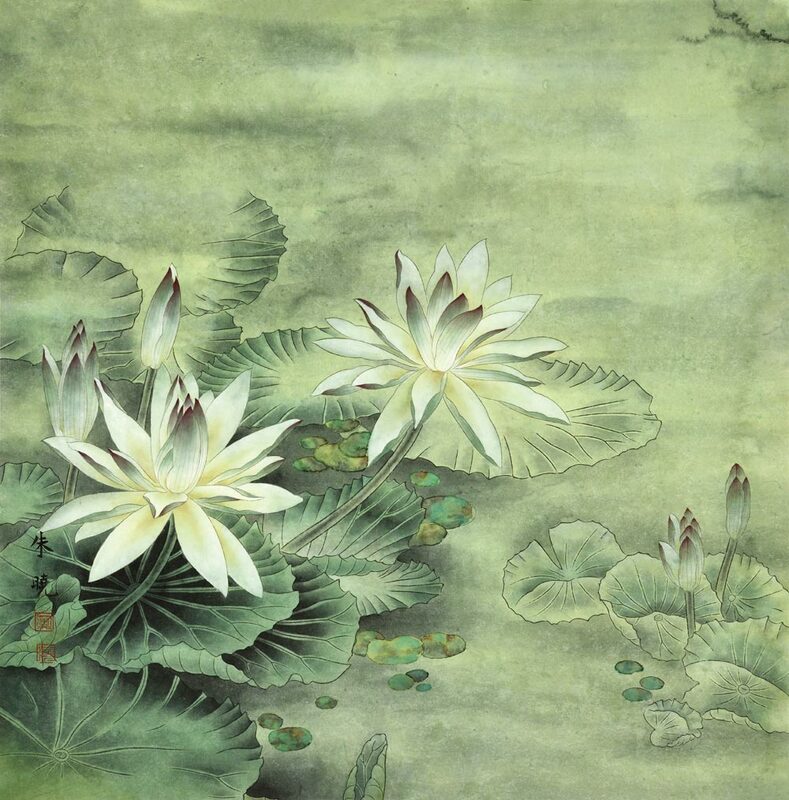 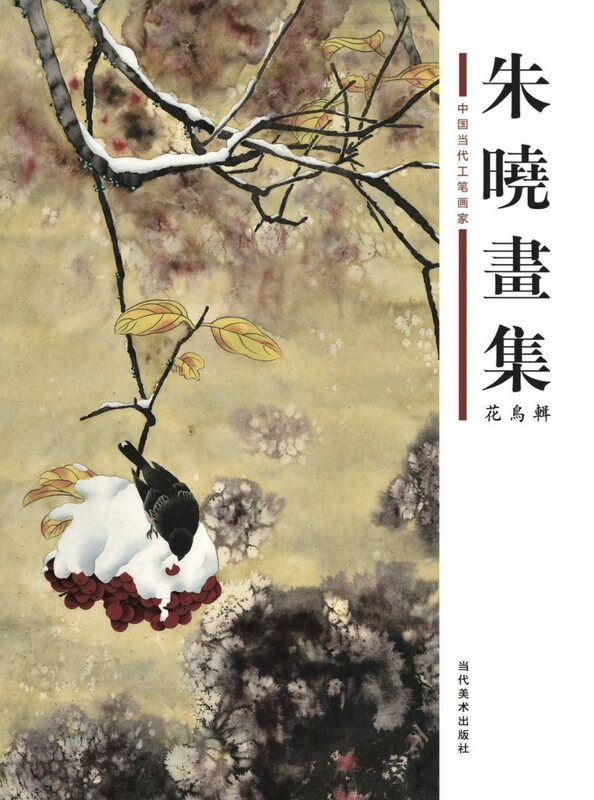 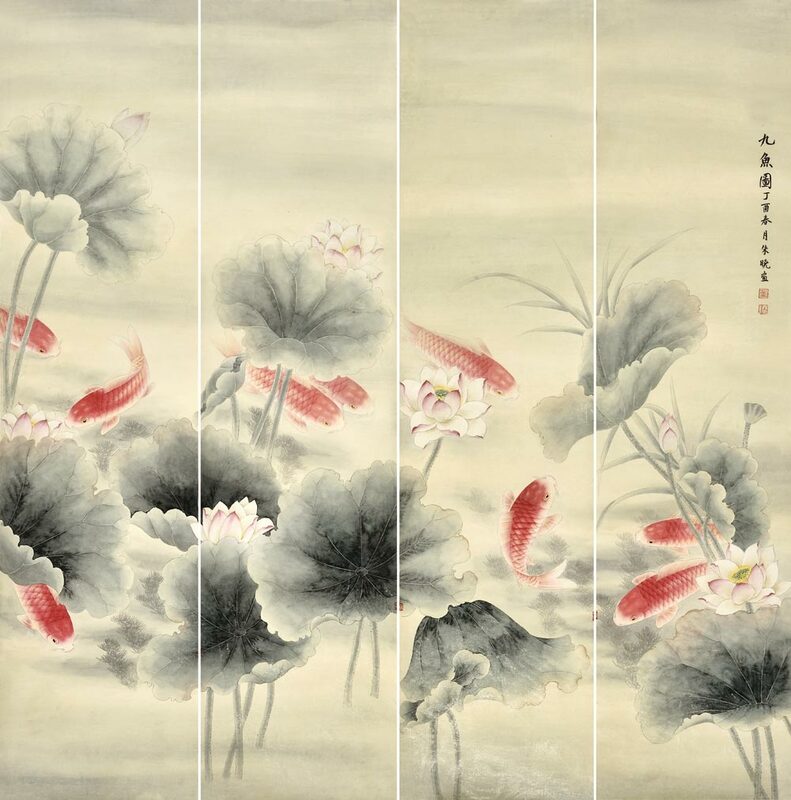 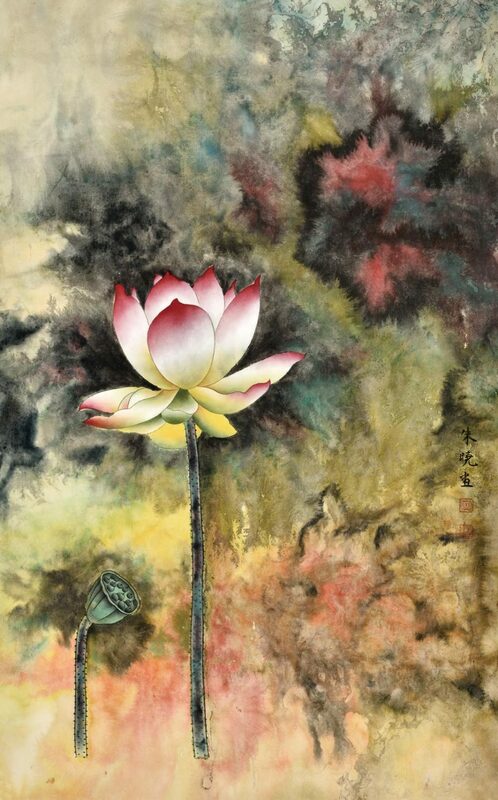 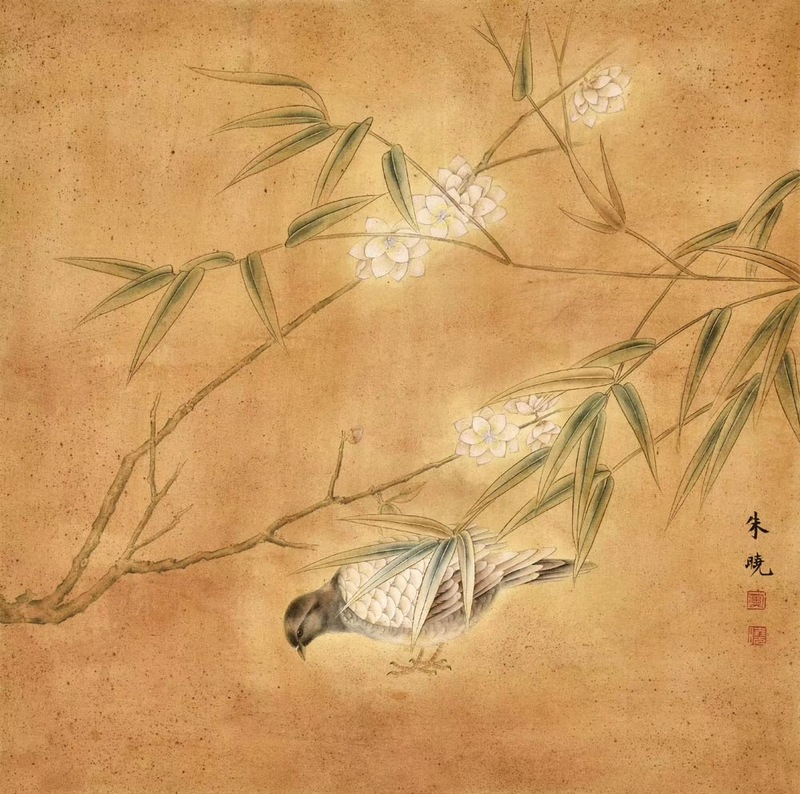 Published works include “Zhu Xiao lotus paintings” and “Zhu Xiao Flower and Bird paintings.” She is now the head teacher of the advanced course of the Chinese calligraphy and painting art master (毛保增 Mao Baozeng) at Tsinghua University, and studio artist of the Chinese Social Culture Development Foundation and Li Naizhou Art Studio of Renmin University. 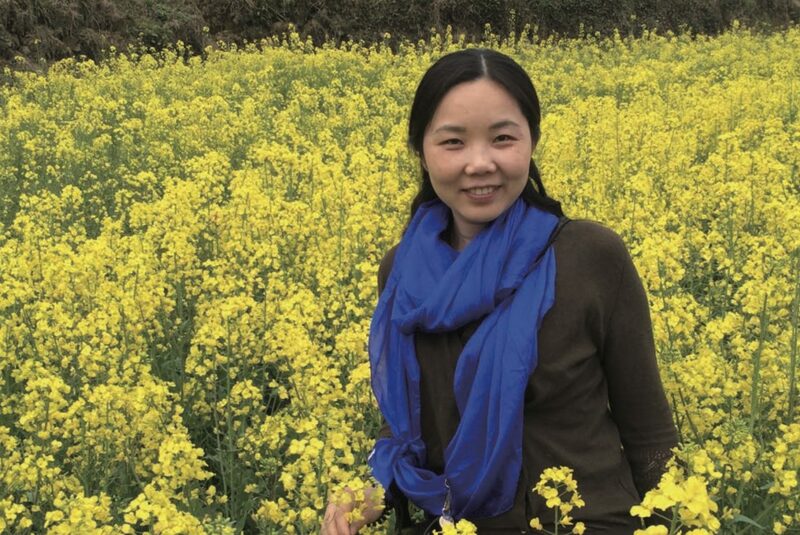 She currently lives in Beijing. 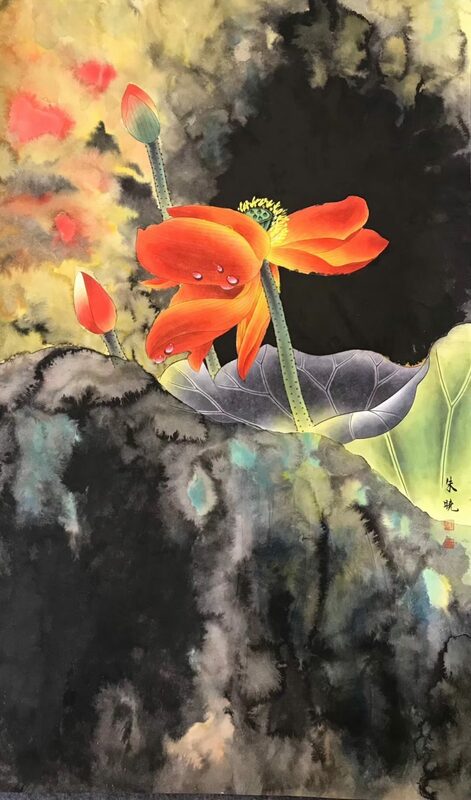 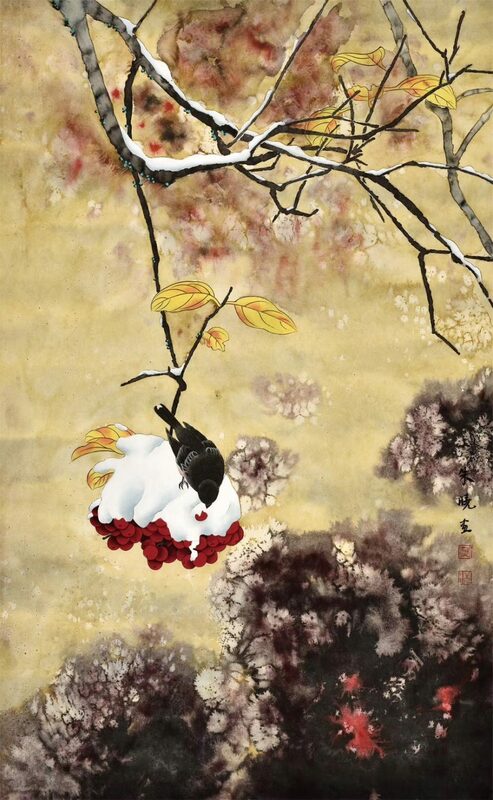 Her works have been published in “Hubei Daily”, “Heilongjiang Daily”, “Art Newspaper”, “China Collection” and other media and shown in exhibition in Beijing, Shanghai, Guangzhou, Hangzhou, Hong Kong, Taiwan and other cities and Japan, Singapore, South Korea, Malaysia and other countries. 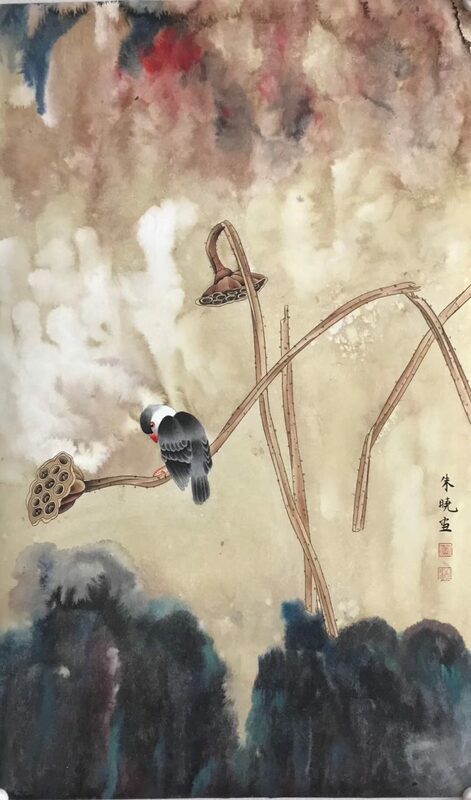 Below are some photos from the Shanghai Art fair 2017, you can also see .pdf of her flower and bird collection here.